Mytaxi was formed when the unstoppable force of GPS-enabled apps met the immovable object of the taxis we need to get around our cities. A mishmash of groundbreaking tech and reliable taxicabs, Mytaxi was an instant hit with consumers. Now you can get a ride in your local city in just a few taps of the app, meaning going from a to b has never been easier. Forget about fiddling around with cash in the back of the cab, with Mytaxi you register your card once and the app will take payment automatically every time. You’ll also get a fare estimate when you make your booking, making budgeting that much easier. You can even track your ride and share your location with friends and family so they know when to expect you. With the option to choose from only 5 star drivers and hail executive cars too, Mytaxi has the flexibility you need when getting around. How do I use my Mytaxi promo code? Check out Mytaxi’s Facebook page to hear about the latest offers and deals! I’ve lost something during a Mytaxi ride. What should I do? Check out its lost property page for advice on what to do here. Does Mytaxi have its own promo codes? Yes, you can find these on its promo codes page. How do I go about becoming a Mytaxi driver? You sound like the entrepreneurial sort. See here for more details! Mytaxis are available any time, day or night. So you’ve got somewhere to go - you need to download Mytaxi. One of the world’s fastest growing and most reliable ride-hailing services, you can be in a cab in as little as a few taps of your phone. Order with a Mytaxi promo code from us and you could get a discount on getting from a to b. Whether you’re prebooking for a future journey or you need to get there right now, Mytaxi makes your journeys easier than ever. Taxis have been around for ages, from the 4-wheeled horse-pulled hackney carriages that appeared in Paris and London in the early 17th century to the 2-wheeled hansom cabs invented in 1834. 1897 saw both the first electric and gasoline powered taxis hit the streets of London and Stuttgart respectively, sparking a major revolution in taxicabs around the world. Firms like Mytaxi are part of the next generation of taxis based around ride-hailing apps. Join the future today! Mytaxi is great for getting large numbers of people to wherever they need to go. Whether you’re painting the town red or off on a big family outing, you can rely on Mytaxi to get the whole group there safe and sound. 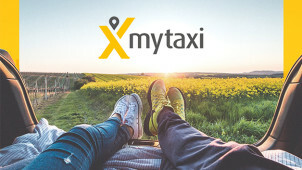 Book your cab with a Mytaxi discount code and you could find your journey is cheaper than you think, leaving you with more in your pocket to spend at your destination.